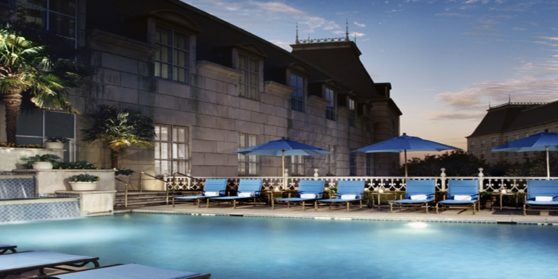 Located in Dallas’ Uptown district, Rosewood Crescent fuses European luxury and sophistication with Texan charm and scale. Grand from its very inception, construction began with what is believed to be the largest hole ever dug for such purpose, to accommodate a five-story underground parking garage. Ten different types of marble were imported from Italy and Spain for flooring and counters, alongside slate from Wales for roofing, while the hotel eclipsed the Empire State Building and broke a world record in the amount of limestone used in construction. It is also believed to possess the world’s largest assemblage of cast aluminum, in the ornate decor and trellises that adorn the hotel’s exterior. During the building phase and in the two decades since, the hotel has been heralded as an economic spur and anchor for the Uptown area, changing the very face of this dynamic city, as well as a distinctive luxury destination. As Rosewood Crescent marks its 25th anniversary, it also celebrates recognition by travel magazines and organizations as one of the finest luxury hotels in the country. Its central location, elegant decor and luxurious spa have made the hotel a romantic destination for travelers, a delightful escape for locals and a natural choice for the rich and famous. The hotel has played host to large events like the Gumball 3000 international road rally, famous politicians such as Sarah Palin, today’s hottest stars like Britney Spears and living legends like Cher – who even treated an admiring staff member to front row tickets! Merging elegant European opulence and warm American hospitality, Rosewood Crescent creates a singular atmosphere in which guests are welcomed like family and treated like royalty.